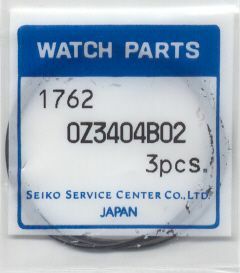 Forum Home > Parts Info, Tech Tips and Tinkering > Seiko 7A28-7040/9 replacement bezel gasket. I eventually got round to cleaning-up this watch today. A rather tatty 7A28-7040 from December 1982 (2D2079), fully functioning but in need of a new bezel insert and crystal. After removing a substantial amount of Gunk from the bezel assembly which free'd it up, I find the bezel is now far too loose. I guess the bezel gasket has aged as it is quite hard. 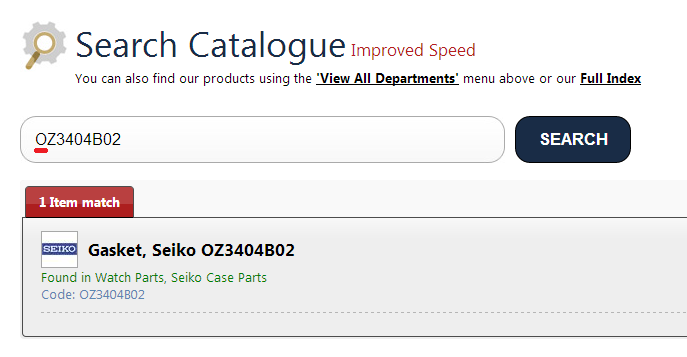 On Seiko's Oceana database the part (0Z3404B02	ROTATING BEZEL GASKET) is showing as In Stock. But this part shows zero results on Cousins.UK. Anyone fancy buying up a few spares with me as a bulk order? No need for a group buy, Chris. As I've written before (only recently in another thread), good old Cousins aren't always the smartest at setting up Seiko part numbers. I know what it says on Seiko Oceania's database, but trust me - try it with an 'O' instead of a '0'. In your experience, will a new bezel gasket fix the issue? Currently the bezel wobbles and spins loosely like a worn ratchet! The voice of experience speaks. From an old thread on RLT http://www.thewatchforum.co.uk/index.php?showtopic=67192 - in case you were wondering. So there's something else you might want to consider trying. Seiko p/n 0Z3404B02. Cousins have those in stock, but carry them under another 'wrongly entered' part number, beginning with 'O'. Will it fix your issue ? Dunno, quite honestly, Chris - depends on the amount of wear on the inside of the bezel / case groove. One thing's for sure, bezels are pretty hard to push back on once you've fitted a new O-Ring gasket. Use plenty of silicone grease. Cheers again Paul, I will order a few and see. I am interested in partaking in a group buy of 7A caseback gaskets and pusher gaskets if anyone is interested. Please inbox me if you need some also. Don't get too carried away, Chris. 3 pieces in 1 package until now!! Unfortunately bloody Cousins UK has changed their tactics. 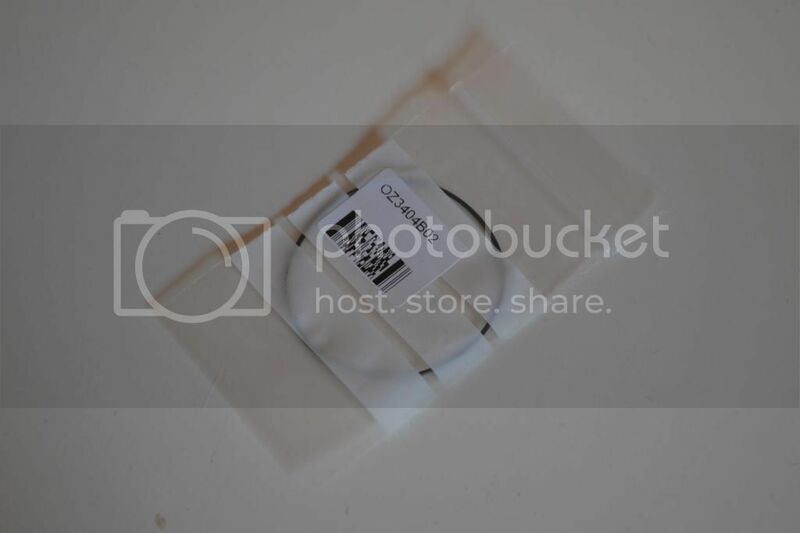 They opened these packages just to be able to sell the gaskets separately...for the same price of course. Look what I have received last Friday. Only 1 gasket in the packet!!? ?